Legal & General is looking to provide financial advice on its Home Finance range of products. It says the move is a response to customer demand for a Legal & General branded advice service for its lifetime mortgage products. Legal & General says that while the later life lending market was the fastest-growing part of the mortgage market last year, more conversations need to happen about lifetime mortgages as a normal part of retirement planning. Since 2015, Legal & General Home Finance has offered its customers access to advice on its lifetime mortgage products through Key (formerly Key Retirement), operating under the brand name The Retirement Lending Advisers. This relationship will continue through any transition arrangements and beyond. Subject to regulatory approval, a lifetime mortgage advice service would form part of the Retail Retirement division of Legal & General. 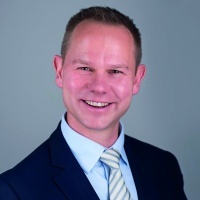 Grant Hughes, formerly head of financial planning at Mercer and chief executive officer of Jelf Financial Planning, has joined Legal & General to work with strategy and commercial director Sara McLeish to take the plans forward.